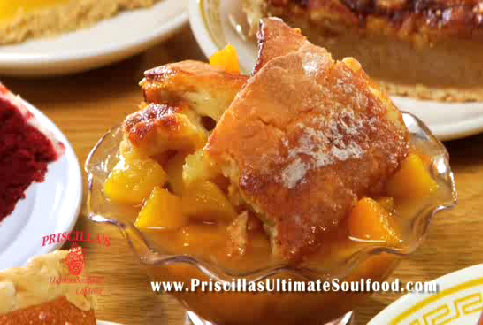 Priscilla’s Ultimate Soulfood Cafeteria in Hillside, IL is a family owned and operated business. 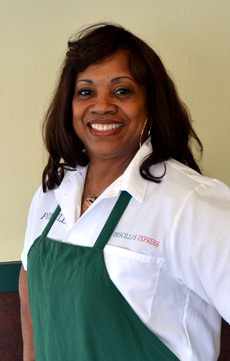 Priscilla’s Ultimate Soulfood Cafeteria in Hillside, IL is a family owned and operated business run by Priscilla and Mansfield Redmond who also run the location in Hanover Park, IL. 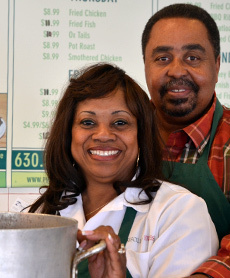 What we serve is great southern comfort food at a price that is affordable. Our friendly staff and mouthwatering cuisine will keep you coming back for more. You don’t have to take our word for it, read what our customers have to say. “Caution: This is good enough to eat every day but it is definitely not food you should consume daily. Check out our full menu now. Be warned, it will make you hungry!